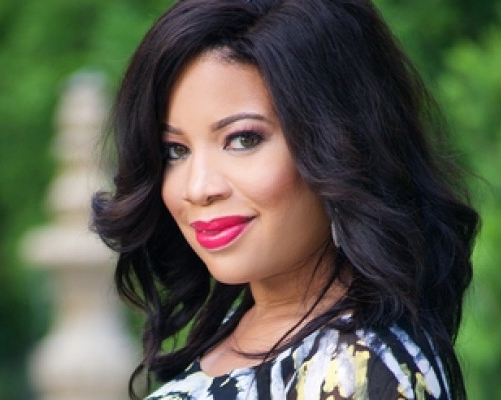 Nollywood actress and Mother-of-one, Monalisa Chinda believes African men misses to understand that acts of love and respect brings out the best in a woman. 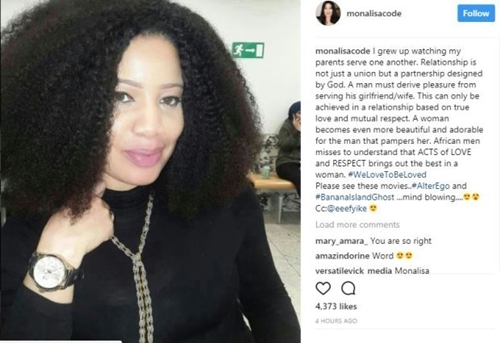 Popular Nollywood prett actress, Monalisa Chinda-Coker, who recently married in Rivers state, has taken to her Instagram page to share some relationship and marriage tips for men. "I grew up watching my parents serve one another. Relationship is not just a union but a partnership designed by God. A man must derive pleasure from serving his girlfriend/wife. 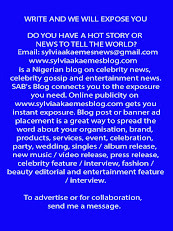 "This can only be achieved in a relationship based on true love and mutual respect. A woman becomes even more beautiful and adorable for the man that pampers her. African men misses to understand that ACTS of LOVE and RESPECT brings out the best in a woman. #WeLoveToBeLoved."